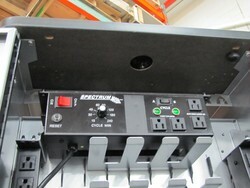 The Cycle Timer prevents overload by alternating power between both power strips in the Cloud 32 cart. The power strips plug into the outlets labeled 'A' or 'B'. The timer switch can be adjusted between 15-240 minutes. 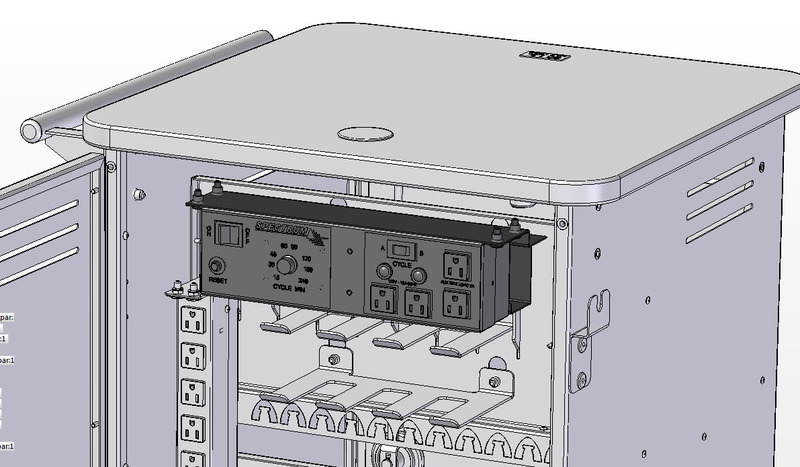 The 55467 Cycle Timer can be added in the field to the cart but will normally not be required with Chromebooks with 40 watt or less charge blocks. Removal of the upper cord management bracket is required to install. The 55467 Cycle Timer is for use with the 55465 and 55466 discontinued models of the Cloud32 Cart. (Timer is black, adapter bracket is silver).